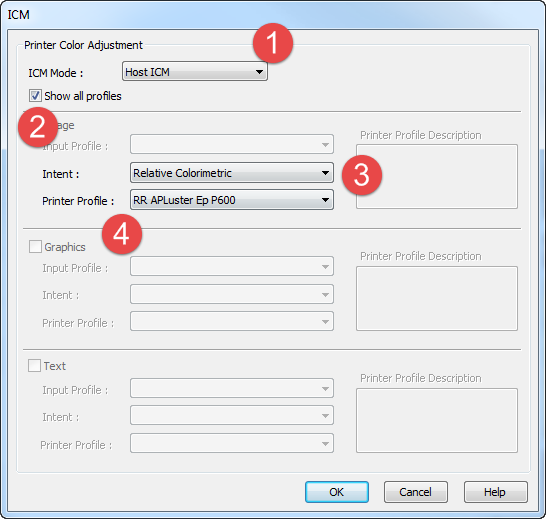 A guide to using ICC color printer profiles in the print process via the Windows ICM system. 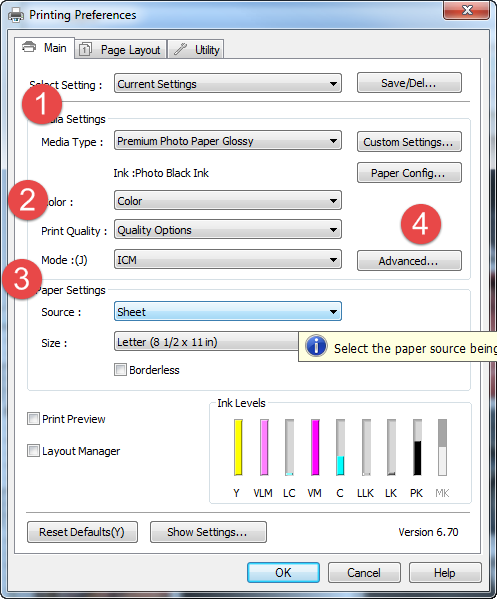 Some photo editing and organizing software are not "ICC aware" during the print process. This means they do not have the ability to control color output by using a printer color profile. If you are a Windows user you can bridge this gap by using the ICM system. Like Apple's ColorSync, ICM is based in the operating system and allows you to choose a printer profile from inside the printer's driver menu. Because ICM is based in the operating system, you should not have total confidence it will work properly. Try it using the tutorial and evaluate the results. If your prints look better by allowing the printer to manage colors then use that method. Do not chase better quality in ICM by trying multiple settings. In some cases it simply will not work better than the printer's software. 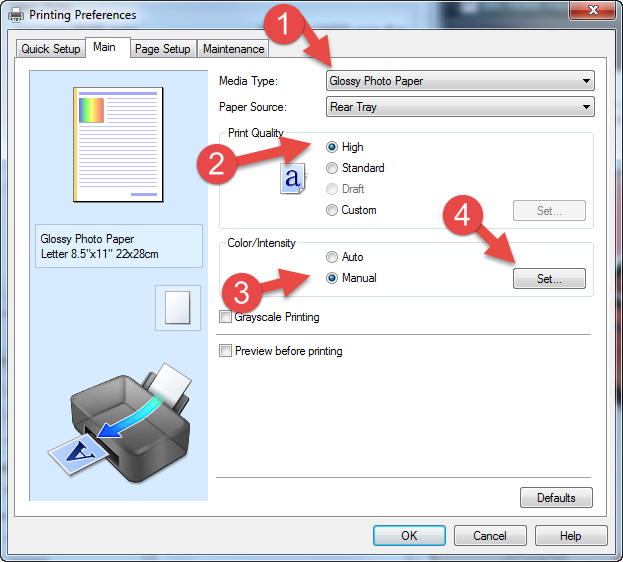 First, begin the print process and you will arrive at your printer's property menu.